Cake, everybody loves cake! And what I mean by that is everybody LOVED this cake. 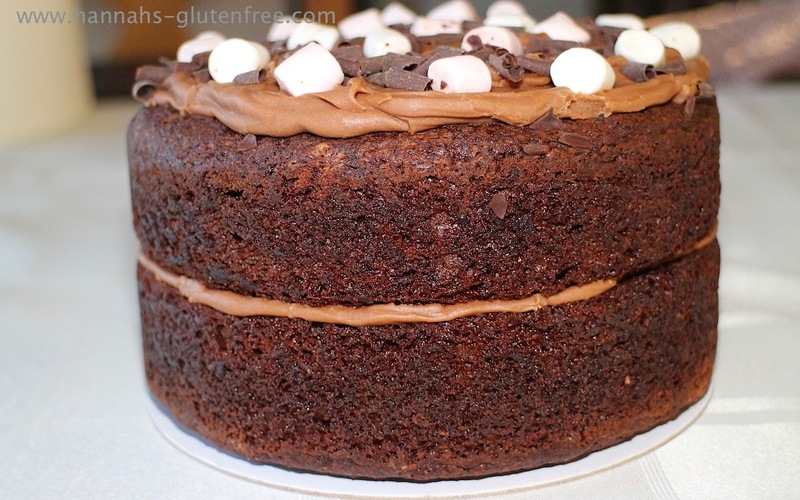 The lovely people over at Love at First Bake sent me a 6" Chocolate Marshmallow cake for my Birthday. As the cake was quite large for just me, I had my family and boyfriend partake in the eating! Now none of my family are gluten free or typically eat gluten free food, so when they all had some and asked where it was from and if they could have more, I knew I was onto a winner. 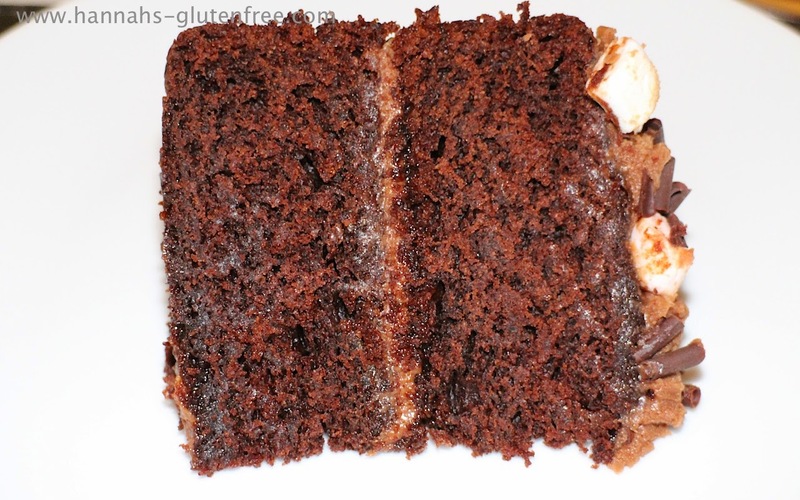 This cake is what I term as scarily good, as it tastes so legitimate I fear it could have gluten in it! This cake retails at £11.95 and is well worth every penny. 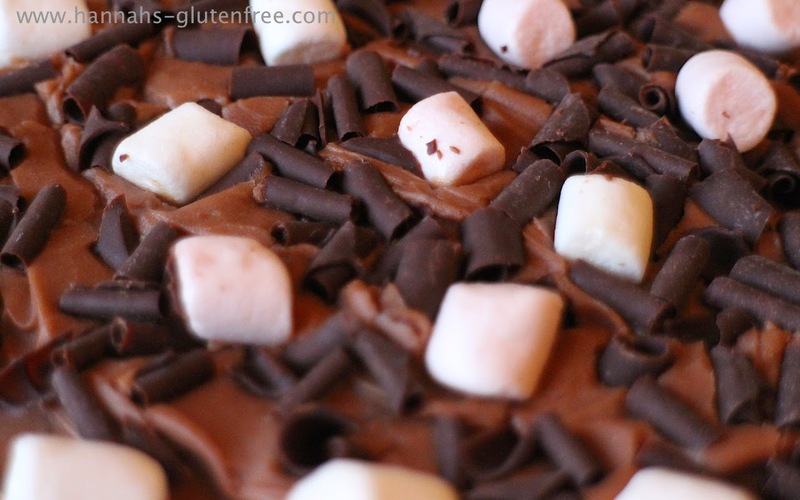 It has a lovely moist dense sponge with a chocolate marshmallow frosting which is sprinkled in chocolate swirls and mini marshmallows. This cake surpassed all my expectations and I would highly recommend it to anyone, regardless of a gluten intolerance or not. It is well deserving of its great taste award! I cut the cake into 8 pieces as I feared like most gluten free cakes it would crumble, but this was not the case so I could have cut it smaller if I had more people to cater for, but then you wouldn't get as much so I would go for the larger size! I was told it was very much like a mainstream chocolate muffin in terms of the texture and taste and that had I served it without telling them they would have absolutely no idea it was gluten free. My mum said she will buy these for all family events so I can join in and nobody will even know the difference! There is such a wide range on the websites from muffins to loaf cakes and even savoury choices. I am most certainly going to try the savoury muffins in the near future because I love brie and cranberries so that option is really enticing me. Overall I will 100% buy this cake and I am now excited to try the other flavours, because everyone loved it I know its something I can share and even have for when people come around for tea and cake as we can all enjoy it together without taste and texture being compromised! 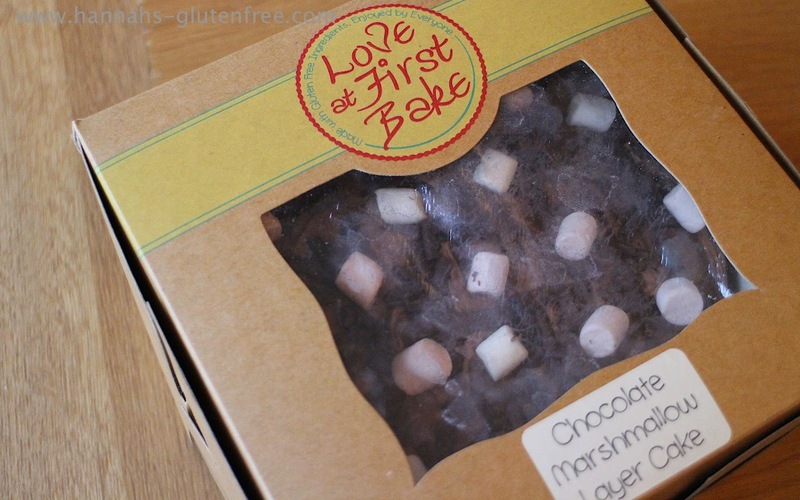 Let me know if you have tried any other of the Love at First Bake cakes, and which is your favourite!